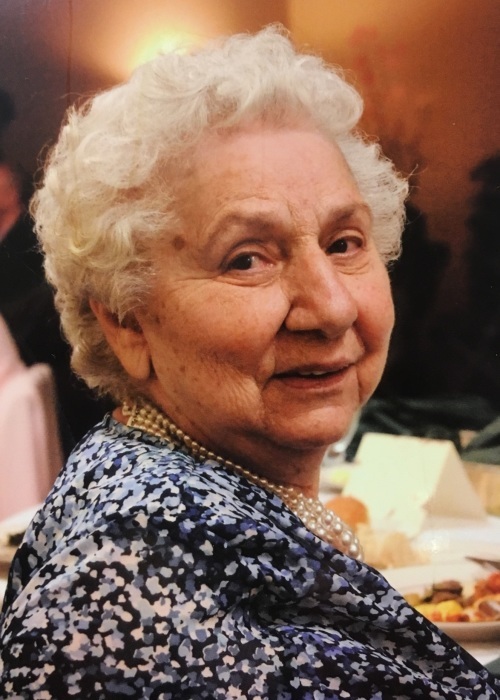 Anna Frances Cobb, 88, of South Haven, passed away Thursday, September 6, 2018 at the Amber Place Heritage Center in Kalamazoo, Michigan. She was born August 20, 1930 to John and Mary (Mistretta) Maggiore in Grand Haven. Anna married Leo Maihofer in 1951. They shared 23 years in marriage before his passing in 1974. She later remarried Vincent Cobb and shared 24 years before his passing in 1999. She was a member of St. Basil Catholic Church and active with the South Haven Community Hospital Auxiliary and the Scot Club. She is preceded in death along with her parents and husbands by a son – Michael R. Maihofer and three brothers. Anna is survived by her son – Tom (Anne) Maihofer of Kalamazoo, stepdaughters – Anne (Steve) Wessling of Freemont, Michigan and Susan (Don Collom) Johnson of Novi, Michigan, grandchildren – Jennifer Hewitt, Christine Lighthart, Amy Smith, Melissa Harris, Joanna Venezia, Stephanie Weber, Sara and Laura Maihofer, and sixteen great grandchildren. Mass will be held at 12:00 PM on Monday, September 17, 2018 at the St. Basil Catholic Church in South Haven with Father Jim Morris officiating. Anna will be laid to rest at Lakeview Cemetery in South Haven. Contributions may be made in Anna’s memory to the St. Basil Catholic Church in South Haven, 513 Monroe Boulevard, South Haven, Michigan 49090 and/or to Heritage Community of Kalamazoo, 2400 Portage Street, Kalamazoo, Michigan, 49001.